When investigators dug deeper into the data, they found people who were on the high end of pre-hypertension were 95% more likely to have a stroke than those with a normal blood pressure. Even those in the low range were 44% more likely to suffer a stroke. "These findings, if confirmed, have important takeaways for the public," said study author Dr. Dingli Xu, lead author of the study and a researcher at Southern Medical University in Guangzhou, China. 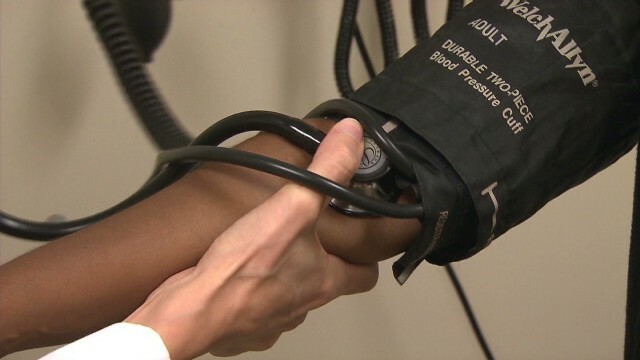 "Considering the high proportion of the population who have higher than normal blood pressure, successful treatment of this condition could prevent many strokes and make a major difference in public health." Medication is not recommended for people with pre-hypertension, but health experts say there are other ways to control the condition before considering drug therapy. This research follows last year’s change in guidelines for treating high blood pressure in the United States. The new recommendations suggest doctors prescribe drugs to patients over the age of 60 when their systolic pressure (the top number) is above 150. With this new data, many physicians say 150 may be too high. Well within in my weight, don't smoke or drink. Not big on salt. In my mid 40's and have borderline high blood pressure. Go to the gym 5 hours a week. What else is there that I am supposed to be doing. It could be a mental issue such as stress or anxiety. Negative thoughts and negative outside sources can have large effects on how our bodily processes. Cali girl, take magnesium, get your level checked, most Americans are short and this leads to increases in BP over time. I also heard that beet juice is good for lowering BP. I heard about that too, beets are supposed to have a lot of NO (nitrous oxide) which can dilate blood vessels and allow blood to flow more easily through them. I have taken my BP on home machine several times and it comes up 170/94 I am 79 years old and have had a mini stroke in the past. My doctor does not seem to be concerned? I also have kidney problems and diabetes. Shouldn't I be taking a BP medication? I'm not over weight. Your page is so good & beneficial, very easy to read, content is very nice, your page is different to others blog pages, I read your page & I got a very useful information about the blood pressure monitor. Blood pressure machine roles is very important in our life. So thanks to you. I am very impressed with your blog page, I have no word to say thank to you. You give the very nice information through the this blog, the blood pressure problem is very dangerous problem in this world. So we need to check blood pressure level regularly. Which blood pressure monitor machine is good for checking the bp level you mentioned it in the blog, so thanks to you. So, the best thing to do is to monitor your blood pressure regularly and live healthy. There are different mantra and remedy that can control the high blood pressure in three months. with in three months all high bp problem will be over. Thank you for being the advisor at this topic. I enjoyed the article quite a lot and most of all I loved reading how you will taken care of the issues I thought to be marked by controversy. You are really truly kind to viewers take delight in me and aid me into my living. Thank you. Firstly, let me recommend your quality on this topic. I am no expert about this matter, but after joining your write-up, my own knowledge has developed very well. Be sure to permit me to grab your rss feed to remain in touch with any sort of potential posts. Good job and definately will give it to readers and my online viewers.